Between household chores, the daily commute to the office and back home, and the stress of walking on the tightrope called life, you hardly find time to pamper yourself. 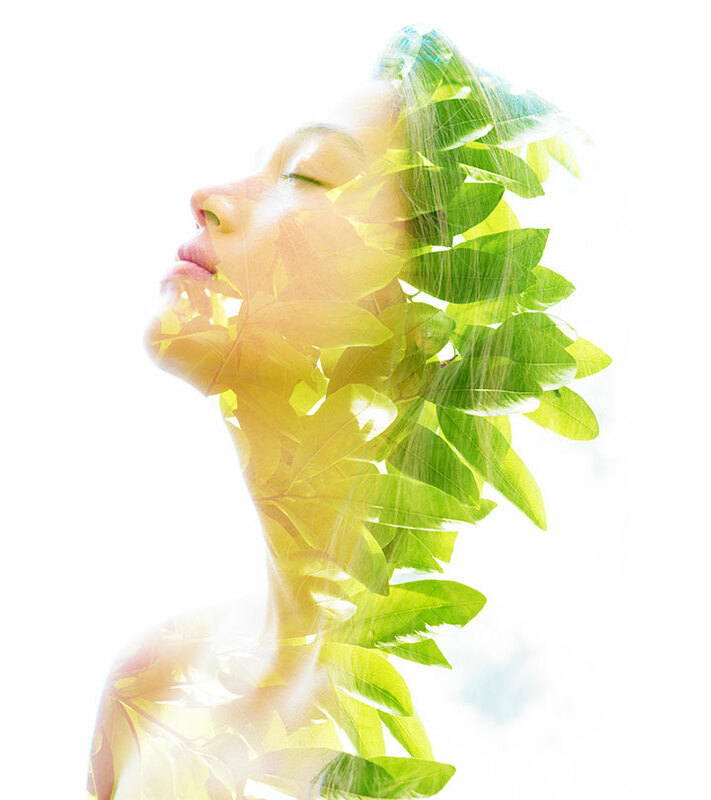 Enter Ayurveda – the science (and art) of living inspired by nature’s essence. Ayurveda is not just about herbal remedies. It is a way of life. 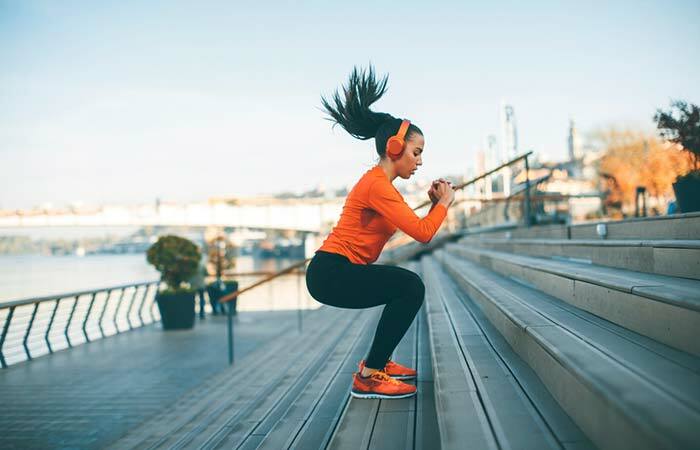 It is about embracing lifestyle habits that will turn you into the most beautiful version of you. 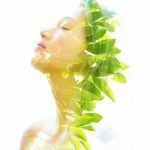 Here are a few time-tested purifying habits and ayurvedic beauty tips that you can include in your skin care routine. Apart from making you healthy and wise, this practice protects your beauty. Having too many late nights and not getting enough sleep increases the number of inflammatory cells in your body that worsen and trigger skin issues, such as acne and dermatitis. Moreover, they make the skin hydration system go haywire, causing your skin to become dry and age quickly. You need to follow a proper routine to make your skin feel rejuvenated. Milk And Fruit: Yes. Even if you love your bowl of yogurt mixed with fruits, avoid it. Fruits are digested quickly, and milk takes time to digest. So, during the processing time, the fruit curdles the milk and creates acidity. Milk And Meat: Avoid consuming milk products (including desserts) if you have fish and meat. Fish heats up your body while milk cools it down. Combining these contrasting foods obstructs the vital body channels. Cold Drinks After A Meal: Avoid having iced or cold drinks after meals. This is because cold suppresses the digestive juices and causes stomach issues. This is also applicable for frozen yogurt and ice cream after (or before) meals. Ghee And Honey: Both produce opposite reactions in your body. While ghee cools down your body, honey heats it up, and this can cause imbalance. Keeping yourself hydrated throughout the day is important. Drink water and also sip herbal tea in between. 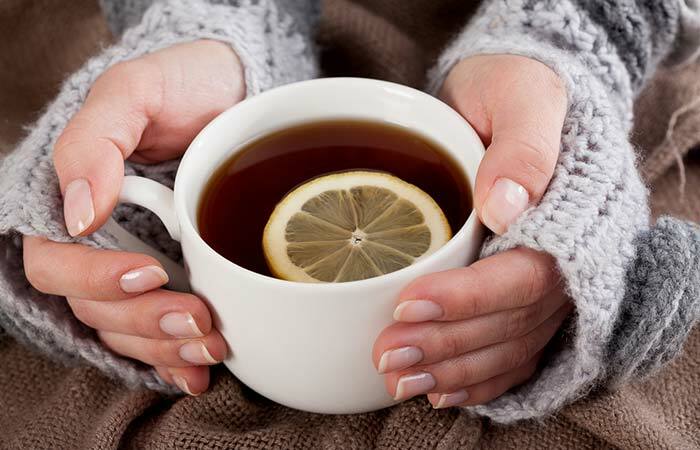 Make tea using herbs like chamomile, ginger, or lemon and have it in the afternoon to keep your digestion healthy. And a healthy digestive system is crucial for glowing skin. Vegetables high in water content can be digested easily. Vegetables such as carrot, radishes, lettuce, asparagus and fennel tips, and cucumber are beneficial for all skin types. These are revered as purifiers. Cook them or dice them and make a salad. Always combine at least 3-5 vegetables in any form to keep your skin healthy. Not only is it good for your heart and lungs, but it is also key to beautiful and glowing skin. Exercise boosts blood circulation, and this, in turn, nourishes your skin cells and flushes out the harmful free radicals and toxins. This makes your skin glow from within. More than physical stress, mental stress can take a toll on skin health. 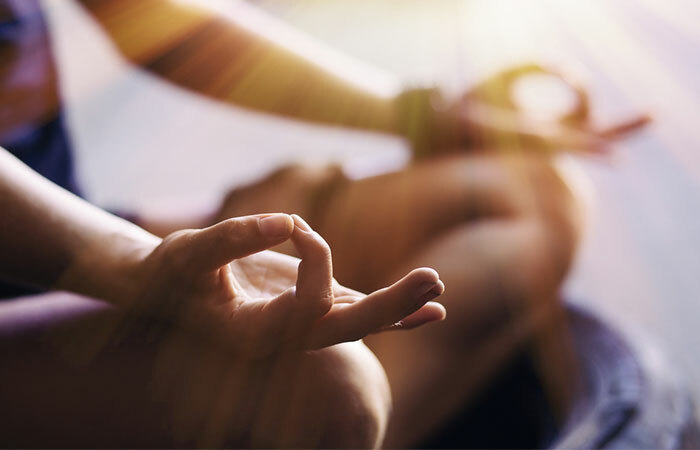 Controlled breathing exercises are a great way to kick away stress and calm your mind. Before you go to sleep, do a simple breathing exercise. Inhale and fill your belly with air. Then, let it rise. Fill your lungs and then exhale slowly in the opposite order. Follow this for 5 to 20 minutes before you sleep or during any time of the day. You must be wondering how this can make your skin beautiful and glowing. Well, meditation helps in calming down your mind. When your mind is at rest, the positive energy or “chi” flows through your body, flooding your cells with vital energies. This not just reduce stress but also rejuvenates your skin. Keeping your skin moisturized and hydrated is crucial. Apart from drinking enough water, indulge in oil massages. Oil massage or Abhyanga is a vital part of the Ayurvedic skin care routine. Massaging your skin with herbal oils not only relaxes your muscles and tissues but also boosts blood flow. It also keeps dry skin at bay. For best results, massage your skin with oil just before hitting the bed so that it gets enough time to rejuvenate itself and soak in the goodness of the oil. You may try self-massage or visit a spa for oil massage. Seeds and nuts are not just for birds. In fact, adding them to your regular diet keeps your skin healthy. 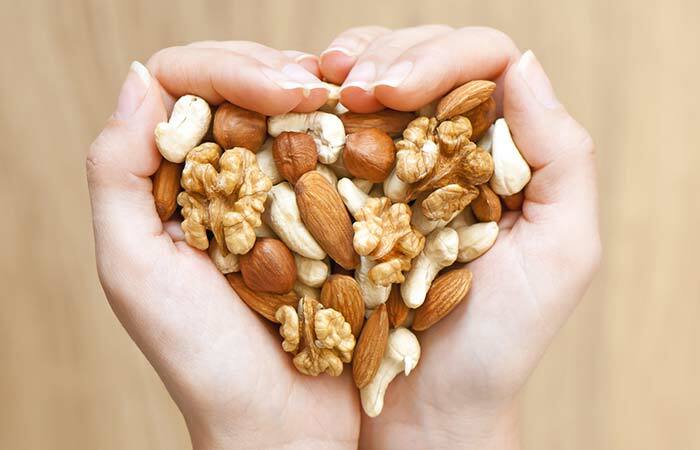 They contain healthy fats that are good for your cardiovascular system as well as your skin. They also contain omega-3 fatty acids and fiber. Consume sunflower seeds, almonds, pistachios, and flax seeds regularly for glowing skin. High salt intake affects your blood pressure levels, and this, in turn, increases your risk of cardiovascular disease. Also, excess sugar and salt damage the collagen and elastin in your skin. These two compounds keep your skin elastic, toned, and wrinkle-free. Too much of anything is bad for you. 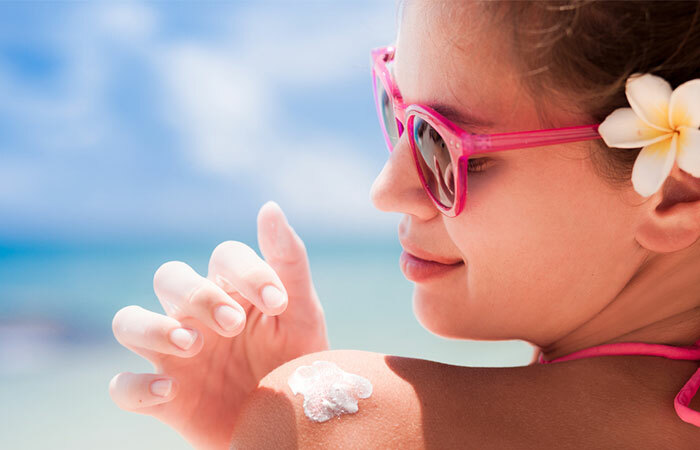 While a bit of sun exposure is a necessity for giving your skin the daily dose of vitamin D, excessive exposure can harm it. The UV rays can cause tanning, sunburn, hyperpigmentation, and wrinkles. Whenever you go out, don’t forget to apply sunscreen. Use an umbrella, a hat, or a scarf to protect your skin. In addition to improving your lifestyle habits, you must stop slathering your skin with chemicals every day. Instead, switch to natural ingredients and remedies to keep it healthy. You will find these ingredients easily in your kitchen or fridge. Let’s look at a few. The peel of orange contains vitamin C and antioxidants that keep your skin clear and bright. 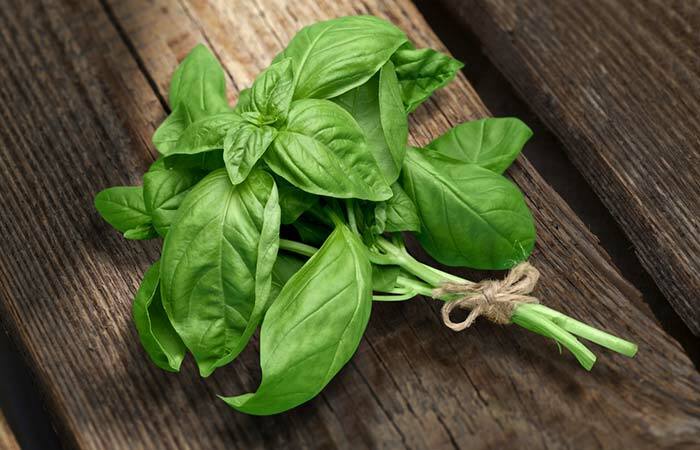 It is the perfect ingredient to make the ayurvedic face pack for oily skin. It also minimizes acne outbreaks. Dry orange peels under the sun, and powder them for using on your skin. Mix the powder and yogurt. Use a brush to apply it evenly on your face and neck. Both sandalwood and turmeric are revered in Ayurveda for their antibacterial properties. Both are extensively used in ayurvedic skin care too. They kill the acne-causing bacteria, clear the skin, tighten the pores, and prevent inflammation. Mix all the ingredients in a glass bowl. Apply all over your face and keep it on until it dries. Potato contains starch and has mild bleaching properties that help in fading pigmentation, dark spots, and scars naturally. Moreover, it also contains helpful enzymes that prevent premature aging. Dip the cotton ball in the potato juice and apply it to the affected area. Wash it off next day. 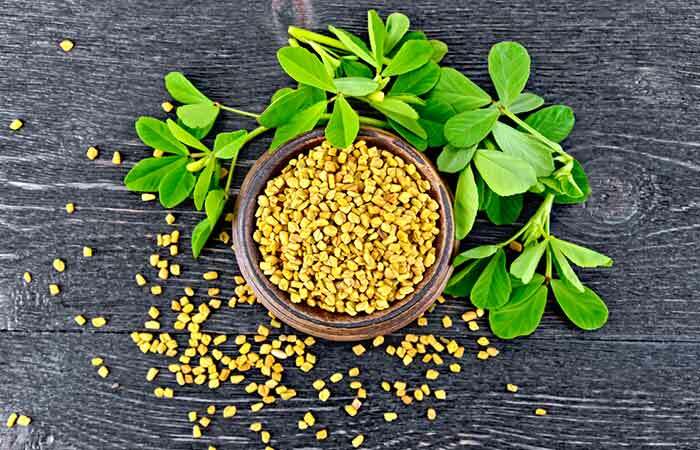 Fenugreek leaves contain essential vitamins and minerals that are effective in treating many skin issues, including wrinkles. You can use both fenugreek leaves and seeds. Your skin absorbs it easily, and you will see visible results with daily use. Grind the fenugreek leaves and make a fine paste. Apply a thin layer of the paste evenly all over your face. If you are using fenugreek seeds, boil them in water and apply the water with cotton. Leave it on for 30 minutes or an hour. Pure cow ghee has multiple benefits. It enhances digestion and flushes out toxins from your system. And when you apply it to your face, it boosts collagen production, keeps your skin moisturized, and slows down the aging process. Mix the water and ghee. Apply the mixture to your face and massage for 10 minutes in circular motions. Let your skin absorb it for at least half an hour. You may leave it on overnight if you want. Wash off with a mild cleanser. The benefits of tulsi are beyond comparison. From fighting common ailments to keeping your skin healthy, this wondrous herb holds a special place in ayurvedic treatment for skin. Tulsi leaves can even out your skin tone and make your skin bright. Grind the tulsi leaves to make a paste. Mix it well with raw milk to give it a paste-like consistency. Apply the face pack and let it stay for 20 minutes. Chickpea flour or besan is easily available in Indian kitchens and has amazing skin cleansing and antimicrobial properties. It is best for removing dark spots, tans, and pigmentation. 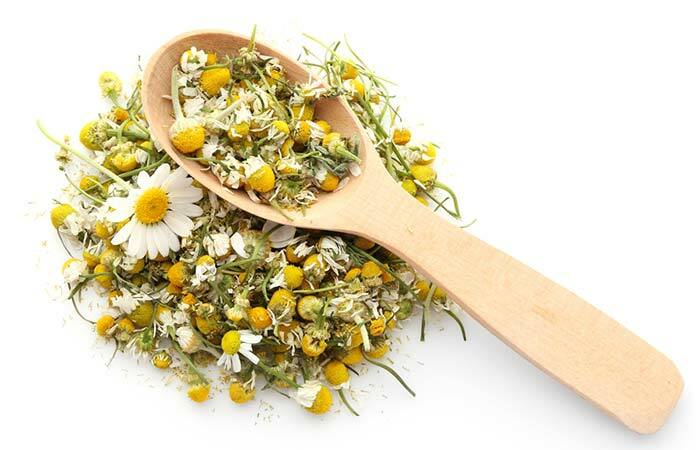 Chamomile is known for its antiseptic and antimicrobial properties. When mixed with fuller’s earth or multani mitti, it tightens the pores, prevents breakouts, and tones your skin to make it appear clear and bright. Combine all the ingredients and make a paste. Spread it evenly on your face and neck. Leave it on until it dries and then wash with lukewarm water. Sandalwood is a common ingredient in Ayurvedic medicine for glowing skin. It cleans the skin thoroughly, killing germs and bacteria, and leaves it looking fresh and bright. Yogurt has a brightening and moisturizing effect on your skin. It reduces blemishes and extra oiliness. Combine all the ingredients to make a paste. Use a brush to spread it thoroughly all over your face and neck. Leave it on for 20 minutes or until it is dry and your skin feels tight. 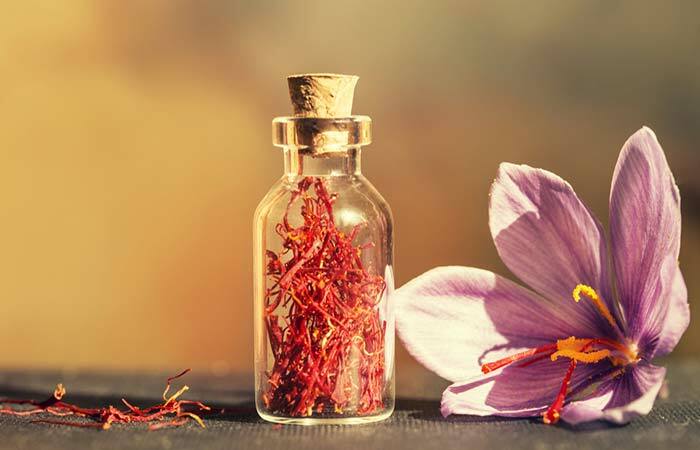 Saffron or kesar is among the most expensive spices in the world. It is a time-tested spice that nurtures your skin and keeps it radiant and blemish-free. Aloe vera soothes your skin and reduces inflammation. Soak the saffron strands in milk. Leave it on overnight. The next day, mix it well with the aloe vera gel. Apply it to your face and let it stay for half an hour. Going back to nature and immersing yourself in its healing touch is the best way to say “I love you” to your skin. 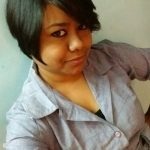 You don’t need to follow all the ayurvedic skin care tips at once. Try to adopt these habits one at a time. And don’t forget to share your experience and drop a comment in the comments section below.